Lewis Hamilton has warned Mercedes not to “go over the edge” in their upcoming development war with Ferrari. 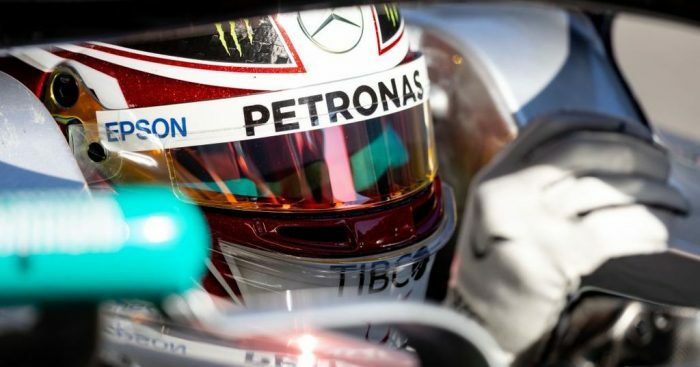 “It makes it harder for sure,” Hamilton said about Ferrari’s strong pre-season form via Motorsport.com. “I think already last year we as a team were behind on performance so we had to overachieve on delivery, and now we have to reach even further, it means we have to squeeze our performance even more. “But we also have to be careful in that scenario because it can also push you over the edge and you can have faults. “We’ve got the best team around us. We have experience, it’s no coincidence that we are world champions so we have to be diligent and stay balanced. “Obviously during the year you have a huge group of people who are working towards winning the world championship and if you are not looking like you are winning the world championship, out of worry you might pull some of the team off earlier,” he added. “So mostly likely they started developing this car a month at least earlier than us maybe, whereas we were pushing to win the world title, which we did. “It is generally how it is, you only have a certain amount of resources that you can use and you want to make sure that you solidify and win the current world championship or tail off and make sure next year is good but you don’t know if next year is good because the rules have changed, so it is about trying to find a balance. “I would not be surprised if Ferrari had more people because in Italy it is not easy to fire people – and it is different to when you are chasing compared to when you are defending.